Following the success of our London Trainings for Raindrop & Vitaflex Techniques, we are offering a new opportunity for those who wish to attend and take advantage of these wonderful life enhancing skills using the Young Living Therapeutic Grade Essential Oils. If you buy the oils from us you will also be eligible for a discount on the training. Whether you want to learn how to treat family and friends or take advantage of our professional CPD option with accreditation and insurance available from Association of Beauty Therapists (ABT), as well as many other insurance companies, we offer both opportunities. There is a third day of Assessment for those wishing to practice professionally, where you will present 5 case studies and a written paper before demonstrating competence in performing the Raindrop Technique. You will also learn another 6 applications of the oils for specific systems which are appropriate to the disorders associated with each. Please let me know if you wish to attend so we can arrange a suitable venue. There is a £50 deposit for each day of the weekend to secure a place. 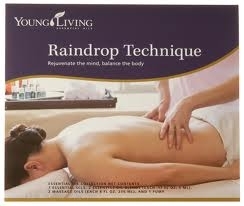 The balance of £50 per day must be paid 2 weeks before and an order placed for the Raindrop Kit with us. Please contact me on 020 8898 0670 so we can confirm and discuss any questions you may have. 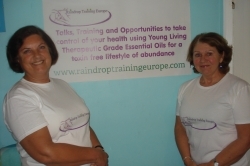 You may also wish to look at our www.raindroptrainingeurope.com website and www.facebook.com/raindroptrainingeurope page. 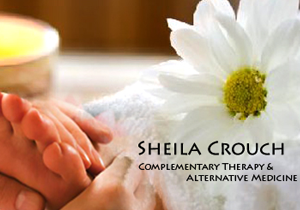 We are delighted to be able to offer you fantastic accommodation if you wish to do our 2 or 3 day courses. Prices start from 50€ a night for a one bedroom (Queen size bed) apartment (lounge, kitchen, bedroom and bathroom). Airport pick-ups can be arranged, and all prices include a Welcome Pack. The Chill Zone is situated on a private residential estate and is 10 minutes from Coin in one direction, and 10 minutes from Alhaurin el Grande in the other direction. Marbella is a 20 minute drive and there is a bus to Mijas.